Returns are expensive, disruptive, and time-consuming, but they’re an inevitable fact of life for retailers. A 2018 survey by the National Retail Federation found a median return rate of 10 percent in U.S. retail stores. This adds up to about $370 billion in returned merchandise. Further, return abuse and fraud costs retailers between $5.00 and $6.50 for every $100 of returns, which can have a significant impact on a store’s bottom line. Those numbers are stark, but they’re not the full story. In a recent article in Total Retail, one expert says that returns are not all bad. In fact, he says, returns may actually be good for business – when they’re handled the right way. Here are a few tips on how to make the most out of returns. About 80 percent of customers never make returns, but they still like to know that they have the option to do so. This makes them feel more secure and confident about their purchase. Make sure your return policy is customer-friendly and easily accessible. No one likes making a return. It’s time-consuming, can be intricate, and it just doesn’t feel good. Use your POS system and train employees properly, so that the return process is fast, easy, and uncomplicated. Instead of thinking of returns as lost revenue, consider them opportunities to build customer relationships. Of course, it is essential to be kind to customers when they make returns. Beyond that, there’s an opportunity to help customers find products that better meet their needs. Coach employees to (politely) inquire into the reason for the return, and to offer alternatives and assistance to find something different. Even if it doesn’t result in a sale, the customer will leave feeling cared for. A point of sale system is a useful tool in tracking return fraud, as well as identifying trends and opportunities to improve sales. Contact Retail Tech to find the POS system that is right for your store. Retail Tech carries a wide variety of new and refurbished POS equipment. We offer installation and staging, PoS printer repairs, and more. If you need help choosing a POS system, contact our POS systems specialists for help finding the perfect point of sale solution for your small business. For restaurants and retail stores, a point of sale (POS) system can be a powerful tool to increase efficiency, customer service and sales. But the benefits of a POS system are only fully realized if the system is tailored to the business and its needs. This is why choosing a POS system is so important – and why we’re offering guidance on the selection process, as laid out by cashdrawer.com, in today’s blog post. Does the POS System Have a User-Friendly Interface? If your POS system is simple and easy to learn, it will be much faster to train new employees. In industries with high turnover rates, this can save a significant amount of training time and associated costs. Further, a system that can easily handle multiple payment options, split checks, and make other aspects of the payment process go more smoothly will improve the customer experience. Does the POS System Provide Analytics? Analytics are an important part of understanding store performance and customer trends – and ultimately increasing sales – in both retail stores and restaurants. Many systems also integrate employee management. This permits a deeper dive into performance and whether certain employees impact revenue in a positive (or negative) way. When choosing a POS system, ensure that it incorporates the analytics you need to run your business. Is the POS System Secure? Security continues to be a huge issue in many industries, including retail. There are important steps that all retail managers should take to prevent POS security breaches, but it’s essential to keep security at the forefront when choosing a POS system. The key is to select a system that balances convenience with protection. This allows for a fast checkout while keeping customer information safe. In today’s retail market, it’s important to take advantage of every opportunity to increase sales and build customer engagement. However, many retailers aren’t fully maximizing one of the most important aspects of the customer experience: the checkout. In a recent study of grocery customers, participants rated the checkout as the most important part of their shopping experience – even above the friendliness of store associates. In addition, 70 percent of customers say that checkout influences their perception of a store more than anything else, and nearly 80 percent say that having a bad experience at the check out makes them less likely to shop at the store again. So what can retailers do to improve and maximize the checkout experience? We’ll share a few tips. The checkout can be a powerful tool in boosting average and overall sales. Reports show that 77 percent of customers find additional products to purchase while waiting in line to check out. Failing to take advantage of that buying potential can mean a significant loss in revenue. But that is exactly what happens in many stores. An astonishing $500 million in sales are lost at every year at grocery store checkouts alone, due to out of stock and misplaced inventory. Simply, when customers can’t find the specific items they want, or when price information is missing, they won’t make those additional purchases. Retailers have no real way of tracking checkout items – and keeping them in stock – when using old and outdated inventory processes. There are new smart technologies that can help identify and correct compliance issues. An integrated point of sale system is also an essential tool in maintaining a well-stocked checkout. Ready to improve the checkout experience? Retail Tech is there to help with a wide variety of new and refurbished POS equipment. We offer installation and staging, PoS printer repairs, and more. Contact our POS systems specialists for help finding the perfect point of sale solution for your retail store. Analytics are a key indicator in any type of business, but they’re especially important when sales and customer satisfaction are key to success. We’ve previously written a blog post on the importance of evaluating restaurant analytics, but, of course, restaurants and retail stores can be quite different in products, practices and goals. So today we’ll share a few tips for using retail analytics to influence sales and performance. As discussed in a recent Point of Sale article, analytics are key to the 5 Ps of retail: place, product, price, people and promotion. Evaluating sales and profit numbers will tell managers whether specific products are better suited to be sold in store or online. These analytics will help to improve the physical layout of a store by identifying more popular items and placing them strategically. After you know which products are and aren’t selling well, it’s time to look more closely at price. Could prices be modified to maximize sales and profit? Are customers taking advantage of coupons or special offers to buy certain items? Are those discounts helping or hurting the bottom line? As the retail industry shifts, personal connection is essential to performance and profits. By evaluating shopping behaviors, you’ll be better equipped to proactively offer those personal experiences to customers. If your marketing campaign is going to succeed, it needs to be personal. Use retail analytics to monitor purchases, coupon redemptions and more. Then, use that data to build specific and targeted marketing campaigns, ultimately working to increase customer loyalty. As retailers work to improve store performance, Retail Tech is there to help with a wide variety of new and refurbished POS equipment. We offer installation and staging, PoS printer repairs, and more. Contact our POS systems specialists for help finding the perfect point of sale solution for your retail store. Not only can a POS system do more than a traditional cash register, but it could also improve the efficiency, organization and overall function of a retail store or restaurant. This, in turn, could improve business operations, saving a significant amount of time, effort and money. But how, specifically, can an efficient point of sale system improve performance and cut costs? 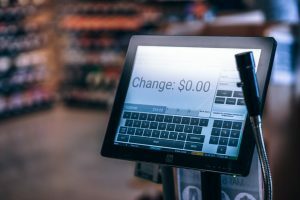 A recent article on pointofsale.com discusses the benefits of a POS system for the bottom line. Point of sale systems allow for automatic inventory tracking instead of forcing employees to manually track the items that are added and removed from the retail store or restaurant inventory. Not only does this save a tremendous amount of time, but it eliminates the threat of human error. In addition, having a better handle on store inventory at all times will assist with loss prevention. It’s important for retailers to capture customers’ information in order to follow up and reengage. If retailers and restaurants can enter this data just once, it will reduce register wait times and improve customer retention. Instead of manually analyzing sales trends and item popularity, make a POS system do it for you! Not only will this save valuable manager time, but it will allow for a deeper dive into the numbers and the ability to adapt to trends with greater speed and agility. When a restaurant or retail store tracks sales, customers, inventory and trends manually, a lot of paper is used. In the busy retail industry, managers often don’t have time to implement and use a detailed filing system, leading to a disorganized office space, missing files and a general sense of chaos. With a POS system, all of those metrics are tracked and stored digitally, reducing clutter and the wasted time and energy that go with it. Ready to switch to a point of sale system? 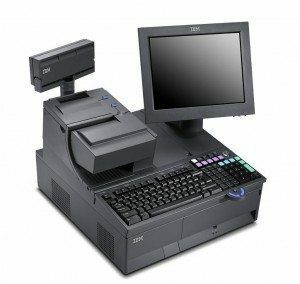 At Retail Tech, we carry the latest in POS systems, POS printers, hybrid POS solutions, and refurbished POS systems. Not sure what your business needs? Just give us a call and we can help you find the best solution for your business and budget.